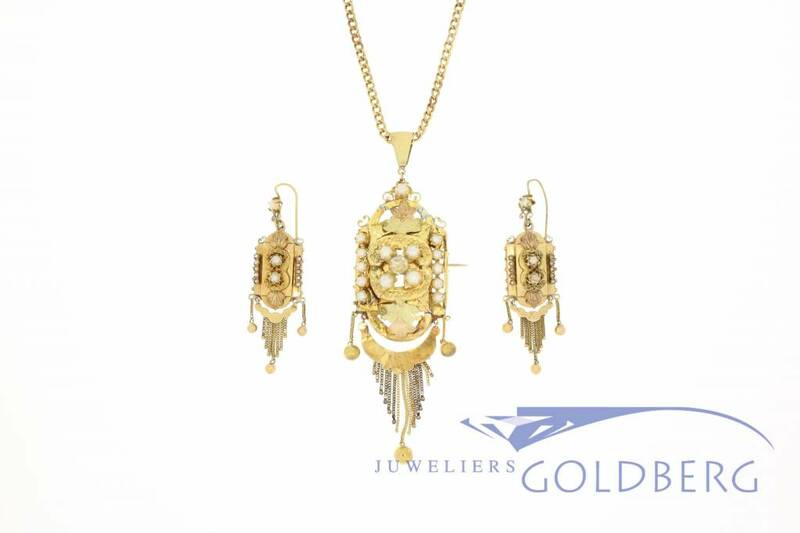 Beautiful antique 18k gold Demi-Parure (small set) consisting of -an 18k gold pendant / brooch with pearls and a single imitation diamond on an 18k gold chain, and of -two 18k gold earrings with pearls. 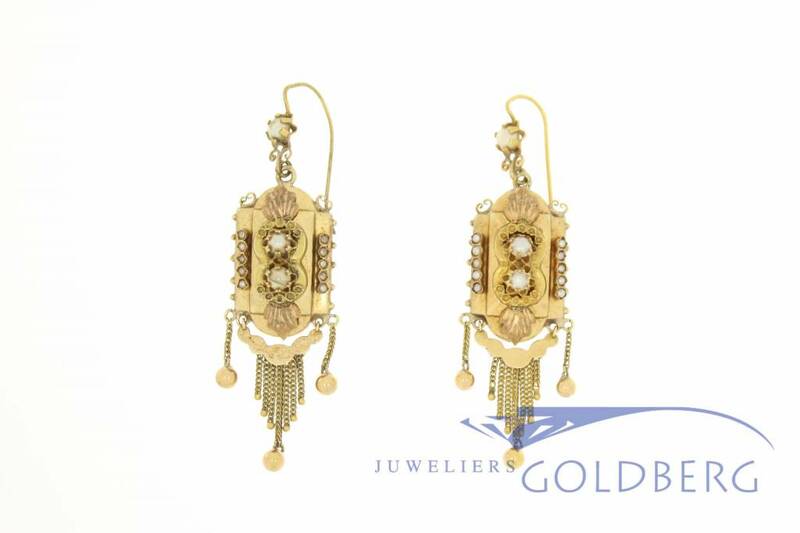 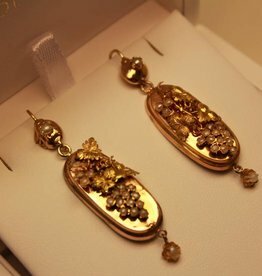 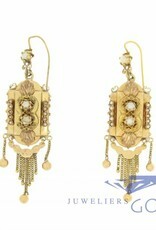 This gorgeous set was created in the region of Antwerp (Belgium) and dates from the period 1870-1890. 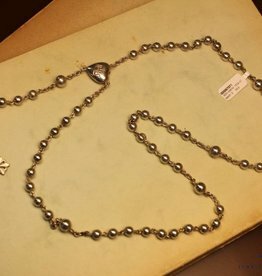 Especially in this period, jewelry was worn mostly on Sundays when attending mass. 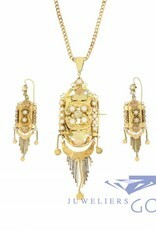 Apart from a few small tin soldering points on the pendant, as can be seen in the picture, the set is in good condition. 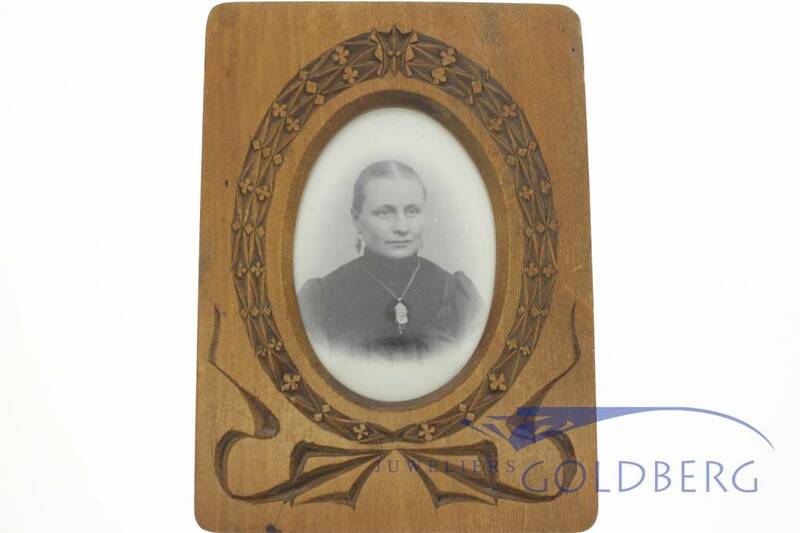 Unique is that the set is sold with a portrait dating from January 1907, showing a woman wearing this set of jewelry. 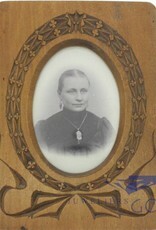 The photo was taken by Bernard de Jong, photographic studio in Breda (The Netherlands) at St. Anne Street 4 Haagdijk 128. 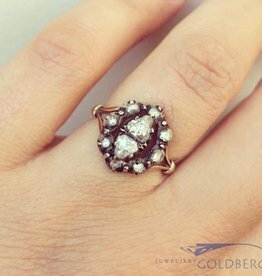 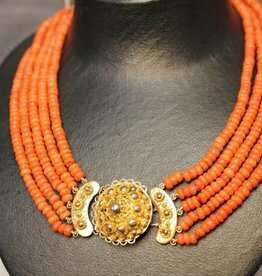 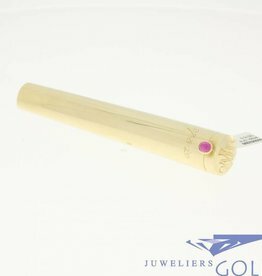 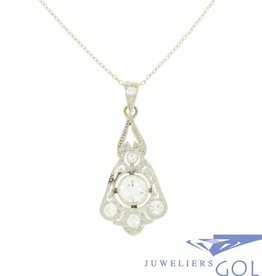 A unique piece of Flemisch and southern Dutch jewelry history and a beautiful collectors item, that can stil be worn today.